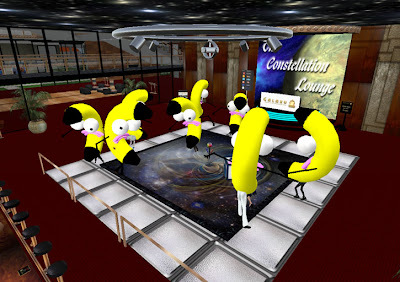 News From The Bridge: The Galaxy Goes Bananas! Events are always fun aboard the Galaxy, but as you can see even we "slip up" on occasion (check the photo above). :) We all had a great time at DJ Eria's set today, she is one of our very a-peel-ing DJ's. Monkey Business Aboard the Galaxy!